The Supreme Court today directed the CAG to audit the accounts of the Noida Toll Bridge Company to ascertain if they have already recovered the cost and reasonable profit from the Delhi-Noida DND flyway. Justice L Nageswara Rao writing the order for the bench said the Allahabad High Court order making the flyway free for commuters will also continue. The CAG has been directed to submit the report within four weeks. "We request the CAG to vetify total cost of the project whether already recovered or not. We refuse the interim relief (stay of HC order)", said the bench. Allahabad High Court had in its Oct 28 verdict asked the company to stop collecting toll from commuters plying on the DND flyway connecting Delhi and neigbouring Noida. Chief Justice Thakur, famous for his sense of humour promptly shot back: "If we decide against you, how will you pay back? You can't run after each customer." When the toll company’s lawyer Abhishek Manu Singhvi had said it had built and was maintaining an “excellent highway”, the Chief Justice said "You made a 10 km road but you are talking as if you had made road to moon!" 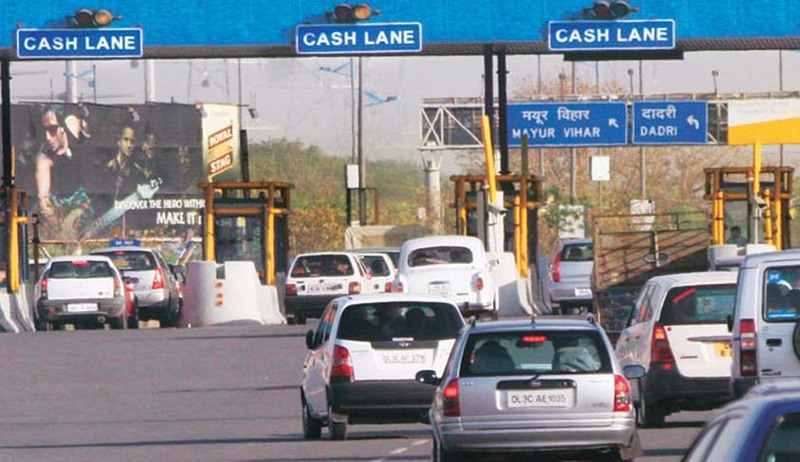 Scrapping the Delhi-Noida Direct (DND) flyway toll, HC ruled that the concessionaire, Noida Toll Bridge Company, shall not impose any user fee/toll from the commuters. A division bench comprising Justice Arun Tandon and Justice Sunita Agarwal held that the commuters were being ‘illegally taxed’ in the name of user fee and stated, ‘The user fee, which is being levied/realised is not supported by the legal provisions, sought to be relied upon by the concessionaire, the IL&FS and the Noida Authority.’ The PIL was filed by the Federation of Noida Residents’ Welfare Association in 2012 challenging the levy and collection of toll in the name of user fee by Noida Toll Bridge Company from the Commuters for using the eight-lane DND flyway having a stretch of 9.2 km. from Noida to Delhi. “This case is a glaring example of misuse of power by a public authority in first entering into the agreement and then framing regulations to bring the clauses of agreement with a private person (company) in line with the legislation so as to give it a statutory backing,” stated the court. It was further added, ‘no private person or company can be allowed to earn profit from the public property at the cost of public at large’. The court held that ‘the user fee realised by the concessionaire under the Concession Agreement, (in the guise of power delegated upon it under the Regulations, 1998 framed by the NOIDA in purported exercise of power Section 6-A read with Section 19 of the Act, 1976), is not in conformity with the provisions of the Act, 1976’. The court held that the concessionaire had already recovered the cost and reasonable profits and in view of the clauses of the agreement on cost being recovered, the bridge can be handed down to Noida even before 2031, i.e., the 30-year period stated under the agreement. ‘A bare look at the Section 2.3(a) and 2.3 (b), which provides the concession period, shows that the concession period is not necessarily the period of 30 years from the “Effective date” rather it is the period till the date, on which the concessionaire recovers the total cost of project and the returns as per Section 14 of the agreement’ as quoted from the 121-page judgement. It was also pointed out that the ‘method of calculation of the total project cost and appropriation of the user fee collection under Article 14 (Clause) of the concession agreement is held to be arbitrary and opposed to the public policy’. Article 14 has, thus, been severed from rest of the contract. The order stated: “Going by the formula adopted in Article 14 of the concession agreement, the unrecovered cost goes on escalating and it would not be possible to achieve 100% returns of the total project cost even at the end of 100 years, what to talk of 2031.” The court, however, refused to quash the entire concession agreement although it was in the eyes of law stated to be ‘unjust and unfair’ as the practice of selection of concessionaire was found to be violative of Article 14 of the Constitution. It was held that the Right to levy and collect user fee suffers from ‘excessive delegation’ and is in contravention to the U.P. Industrial Area Development Act, 1976. The court ruled that ‘Article 13 (Clause) of the Concession Agreement is held to be bad and inoperative in the eyes of law’. The court contended the claim that intervention by the Court would restrict the contractual choices and rights of the parties with power of judicial review under Article 226 of the Constitution. Managed by the Noida Toll Bridge Company Ltd (NTBCL), the busy eight-lane 9.2-km road which connects Delhi on the west bank of the Yamuna with Noida and East Delhi has witnessed several protests and demonstrations seeking scrapping of the toll. The Noida Authority had authorised Noida Toll Bridge Company to increase the toll charges from time to time. Opened in 2001, the toll fee was gradually hiked from Rs 8 for each journey to Rs 28.